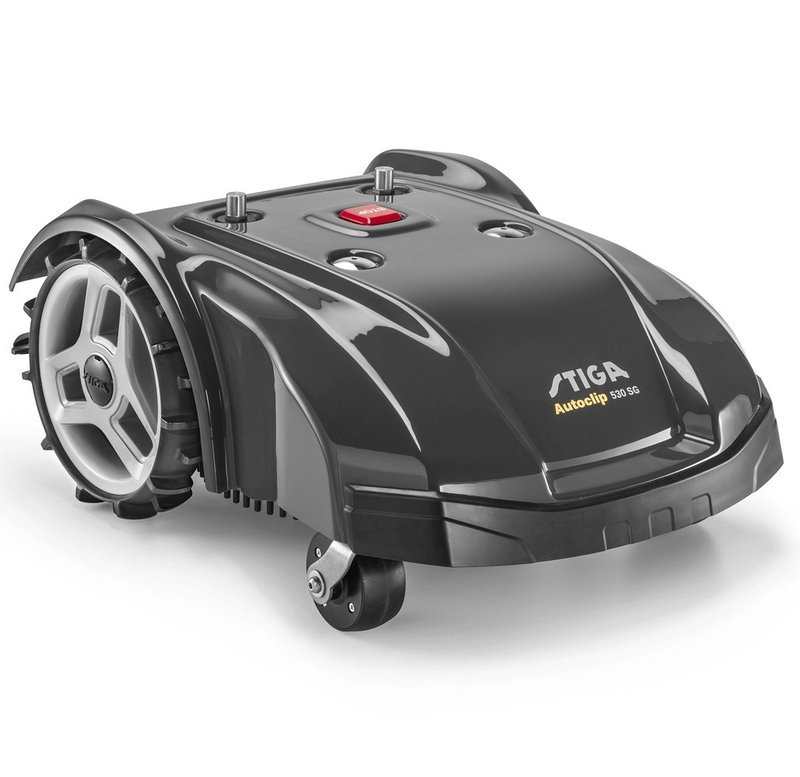 The Stiga Autoclip 530 SG is a new form of intelligence for large lawns. This smart robot mower can manage gardens up to 3200m² and can cut up to 4 separate mowing areas. 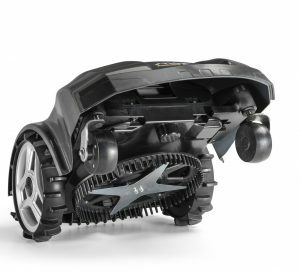 The highly efficient brushless motor is powered by a 7.5Ah high performance Lithium-Ion battery, delivering long run times up to 3 and a half hours per cutting cycle. Thanks to the connectivity module, you can control and interact with the robot at any time and wherever it is, thanks to the smartphone app, free to download from appstores. 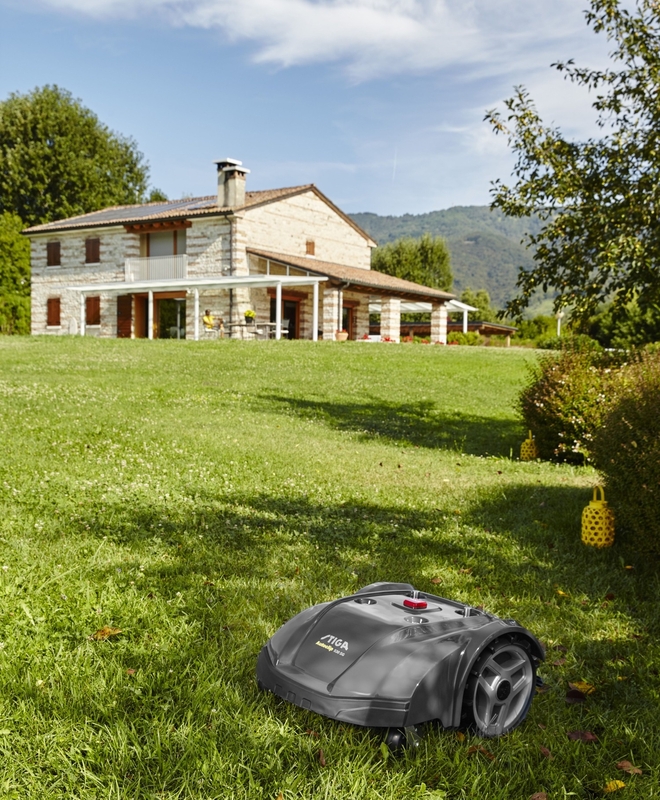 With an integrated GPS system, te Stiga Autoclip 530 SG robot mower can map terrain for an intelligent sub-zone cut, mowing quickly and efficiently. 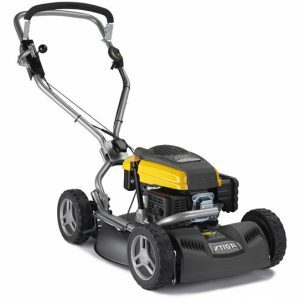 The four-toothed 29cm stainless steel blade will cut the lawn a few millimeters a day ensuring the best cutting performance as well as a perfect finish. 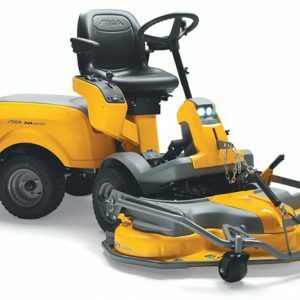 A sensor will trigger the intelligent spiral movement according to grass status and the mower will automatically return and hook up to the charging station when required, proceeding alongside the perimeter wire; no guide cable needed. A gyroscope optimises the navigation of the robot for efficient cutting performance. Safety sensors on the wheels make Autoclip’s blade stop immediately in case of lifting or any other unidentified movement, and the Eco-Mode sensors can detect if the lawn has been cut; if that’s the case, the mower will return to the charging station and wait for the next working cycle. Cutting in dry weather produces the best results; when it is raining the rain sensor on Autoclip automatically returns it to the charging station where it stays until it stops raining. 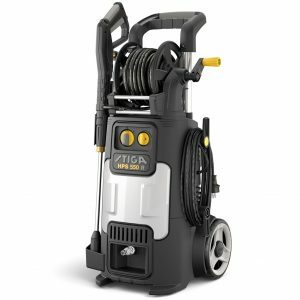 A PIN code lock protects your Stiga Autoclip 530 SG from theft, unauthorised use and access to the programming mode. 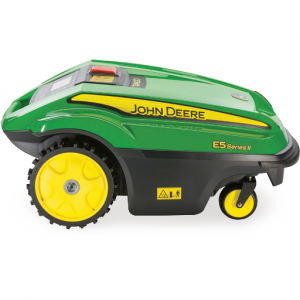 Installation cost are extra, please ask us for a free garden survey if you are thinking of buying a robotic mower.